Earlier today, I went live on my personal Facebook with a little video on why I chose to join Noonday Collection as an ambassador. I had a bunch of notes on things that I wanted to share, but then I got so nervous that I forgot to USE my notes. I have no problems talking to a group face-to-face, but technology, man. It gets me every time! A few months ago, I discovered the beautiful jewelry offered by Noonday Collection. Anybody who knows me well could probably tell you that I wear statement necklaces pretty much every single day (#likemotherlikedaughter). In the past, I've purchased them from all of the "usual" stores, but recently it occurred to me that EVERY piece of jewelry or article of clothing I wear has a person behind it. A real live person, with a soul and a story. Then, like the anxious person I am, I started worrying. Were the people who make my jewelry paid a fair wage? Were they working in sweatshops? Were the men and women making my jewelry being taken advantage of? What if children were being forced to make my $5 necklace? So, I decided to buy some fair trade, socially responsible jewelry from Noonday Collection. However, I decided in advance that I definitely WAS NOT going to become an ambassador. I had sworn up and down that I would NEVER do direct sales again. So, when temptation struck, I did some research in an attempt to talk myself out of it. After all, I was NOT going to fall into the trap. ... but the more research I did, the more I fell in love. You see, Noonday Collection is more than a jewelry business. It's an opportunity to show women - both here and around the world - that they are loved, chosen, and desired. Did you know that at any given time there are an estimated 24.9 MILLION people in forced labor around the world? To put it in perspective, that is 5.4 out of every 1,000 people in the world. People often end up in forced labor due to limited options. They are taken advantage of due to their vulnerability. Noonday Collection works with the most vulnerable communities to offer them REAL, fair work opportunities. Through Noonday Collection, women are empowered, both as ambassadors and artisans. They offer pathways out of poverty that not only enable women to care for their families, but KEEP their families by giving them a means to provide for their children. Noonday Collection was actually started by Jessica Honegger as a way to fundraise for her family's own adoption, and they've remained true to their roots! Since its founding, Noonday Collection has supported over 3,500 adopting families by raising over $550,000! As I hope to someday become a parent through adoption, this truly resonates with me. I would LOVE to be able to help other families bring their children home. 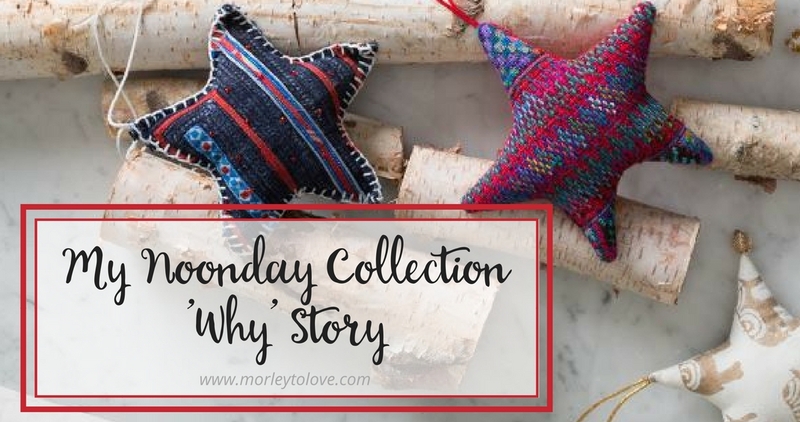 I hope that you will follow my journey and join me as a world changer as I share some of the incredible stories that have come from Noonday Collection artisans!